Thanks to all of our customers for keeping us in business all these years... we look forward to helping you in the future! Email us your order and it will be ready when you arrive!! 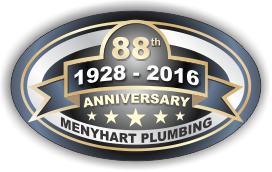 The goal of Menyhart Plumbing & Heating Supply is to provide each customer with quality service and expert advice that will separate us from the competition and earn people's confidence, trust and loyalty. We believe it is much more important to gain a customer for a lifetime instead of just making a sale one time! Ideal for households looking to maximize energy savings.